All our burgers are served with chips, and cooked medium plus, unless requested otherwise. Vegan / Vegetarian option, zero chicken! As in - only for kids! We blend 6 cl of Baileys with our nice and strong coffee. Irish whiskey with coffee and brown sugar, topped with heavy cream. If you have any food allergies, please read our list of allergens and let our staff know when ordering so we can adjust your meal accordingly! 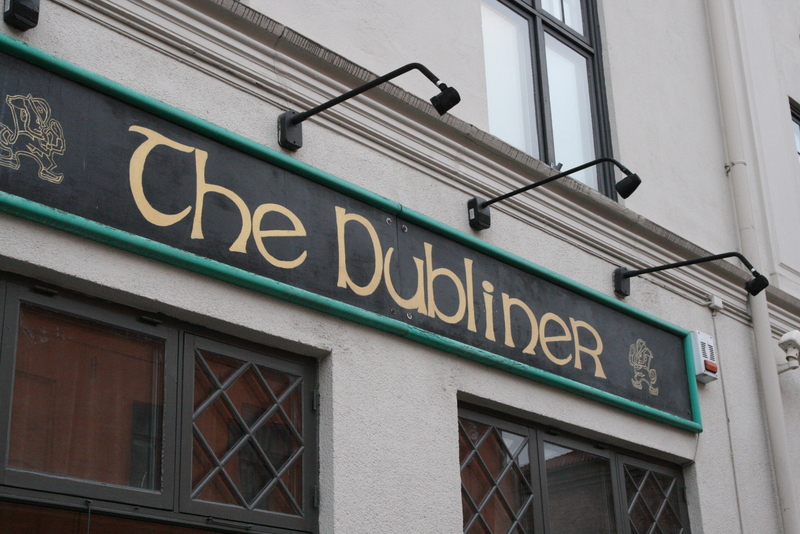 The Dubliner was first established in March 1994 at which point it consisted of only the front bar. It fast became one of the most popular meeting places in town, for both our many Irish and Norwegian customers alike. The pub has an authentic feel that is comparable to none and which you will experience as soon as you walk in the front door. With the old church pew benches sat against the hand made stain glass windows and the centrepiece fireplace, it is the perfect atmosphere in which to relax and enjoy one of our famous Irish coffees or try our excellent fish and chips. 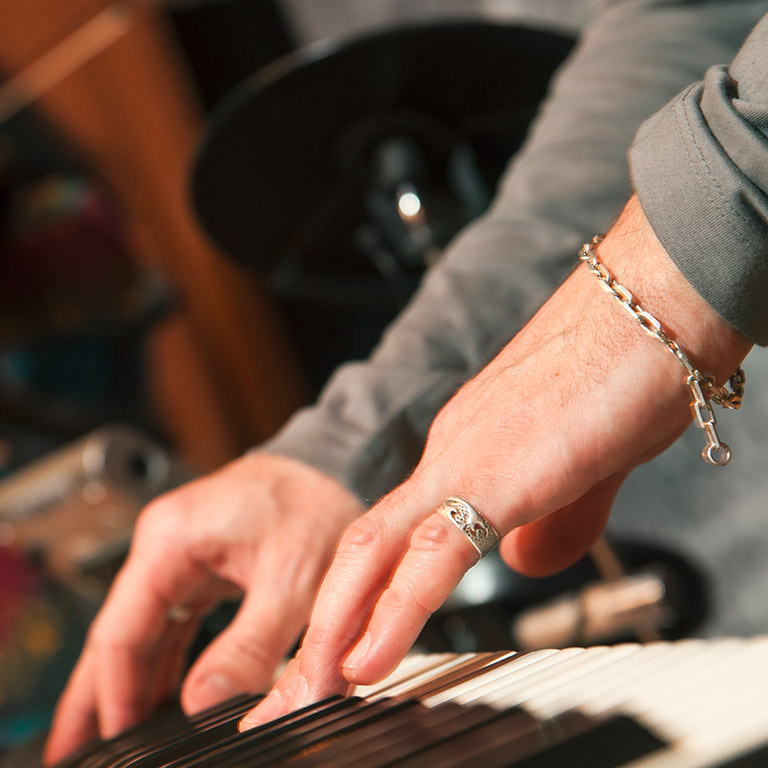 Within a year of opening, the traditional music sessions had started and quickly became one of our biggest attractions. To this day you can still come along on Tuesdays and Saturdays and listen to some of the local talent bursting out tunes to a great pint of the black stuff. Just two years after opening, the response from our customers was so great we decided to expand the pub. Due to the friendly atmosphere created by the staff and the customers and with the popularity of the live bands on stage every weekend, extra space was greatly needed. Thus the back bar was opened in September 1996. Here you will find a smaller, more intimate bar that boasts an amazing selection of whiskeys guaranteed to suit all tastes. Following the introduction of the smoking ban in 2004 we opened up a smoking area in the back yard, since rated as one of the biggest, warmest and best smoking areas in the city. Due to growing popularity with the customers we decided to expand the pub again and so in mid November 2005, the third bar, Bally’s Boozer was born. Here you can watch sports on one of our big screens, chill out and listen to some great easy listening music from the 80’s and 90’s or play shuffle ‘til the wee hours. So whether it’s a quiet pint or a party for 300 people you are after, The Dubliner can accommodate all. So just grab a coat, drop by and join us for a pint…you never know who you might meet! 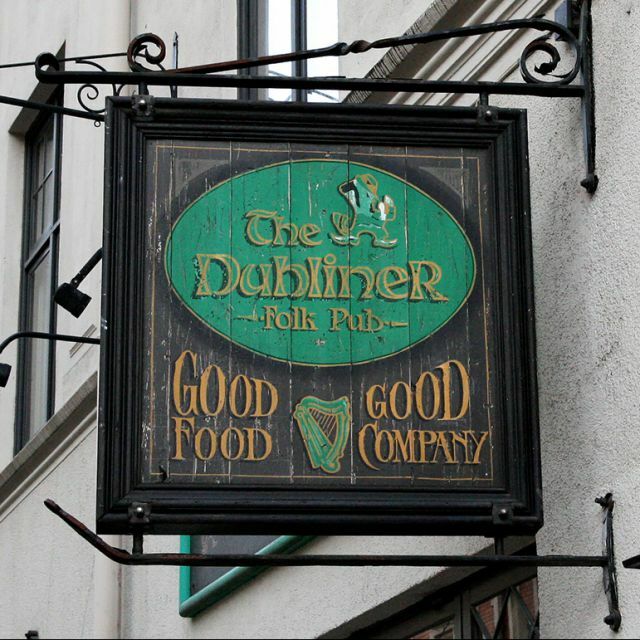 The Dubliner is a great place to catch up on a number of other great sporting and social events. 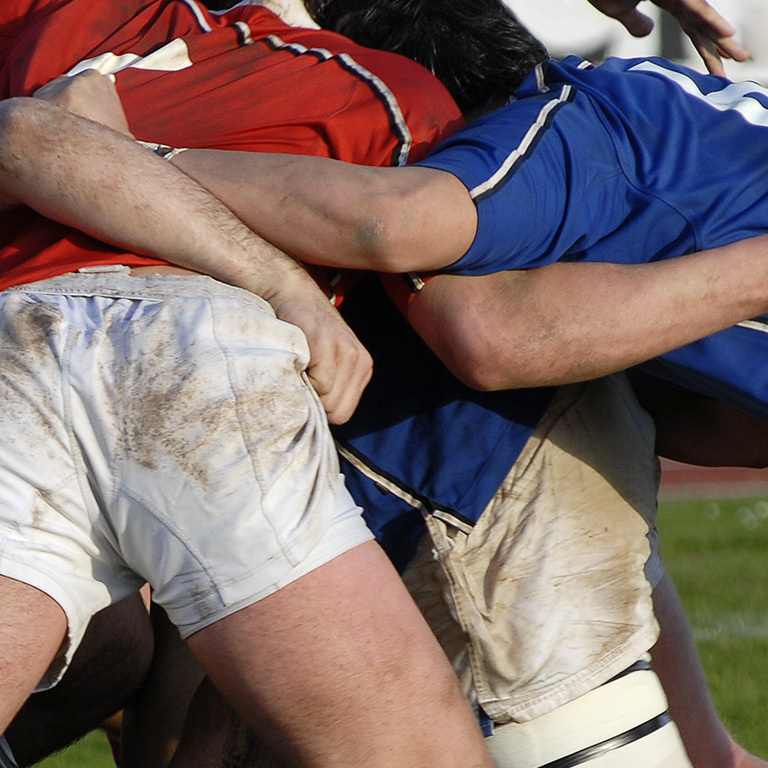 We show live coverage of the main football, rugby matches and other major sporting events. 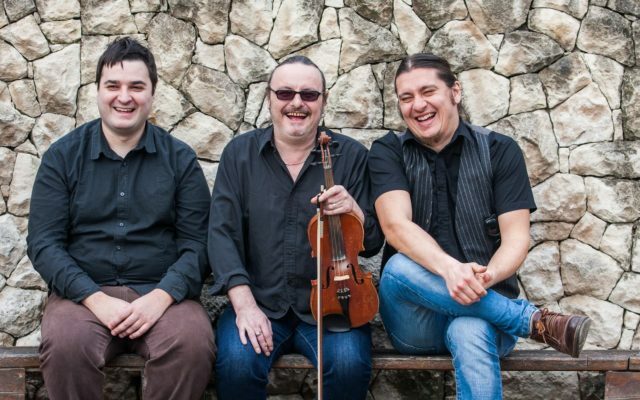 We at The Dubliner pride ourselves in having some of the best, up and coming bands from Ireland every week for your entertainment. 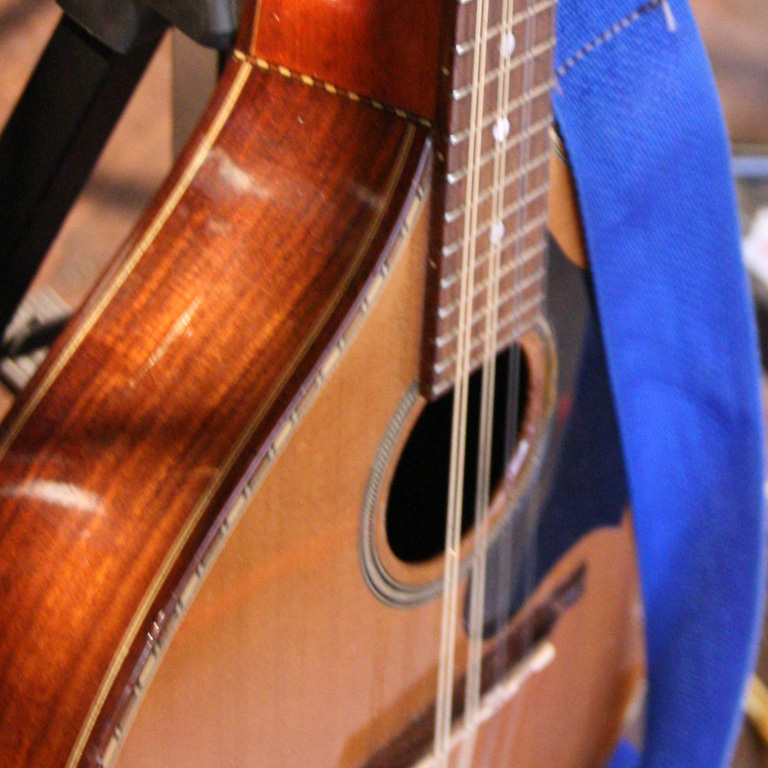 We have regular, live traditional sessions every Tuesday and Saturday. We are also famous for our great Halloween and St. Patricks Day celebrations! These and other upcoming events will be promoted at our facebook page – check it out and follow for frequent updates! Live on stage - and other shenanigans! Sunna is doing an 80's special music bingo!